Stay cool in the shade with our line of sun tops and canopies for your golf cart. No matter what type of golf cart you own, we have the right top for you. Canopies provide shade for passengers seated in the back, and also serves to protect those passengers and the driver from debris, dirt, and harsh weather. Our tops are made with quality in the USA, and we offer the best possible prices you will find. They are available in a variety of colors and sizes to fit all golf carts. Our line of tops for Club Car golf carts come in a variety of attractive colors and various sizes to fit your golf cart. We carry sun tops and supports for canopies for EZ-GO golf carts, and they are available in a variety of colors. Keep yourself and your back seat passengers out of the hot sun while playing a round during the scorching summer. Our line of after market supports and tops for Yamaha golf carts are available in a wide range of colors and sizes. There is no better way to stay cool and in the shade while playing a round during the summer months. Our line of sun tops and canopies also adds value to your golf cart and will enhance your enjoyment of the game. 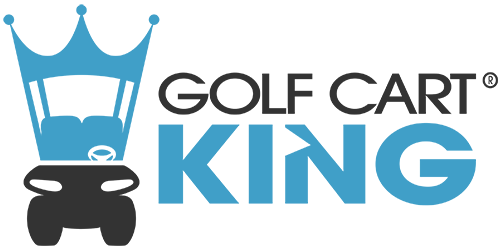 Explore Golf Cart King's collection of canopies today.